Multifunctional 1 - 2 channel top hat DIN rail unit with intrinsically safe current input and loop power supply, alarm set point monitoring, mathematics function and 1 - 2 analogue outputs. 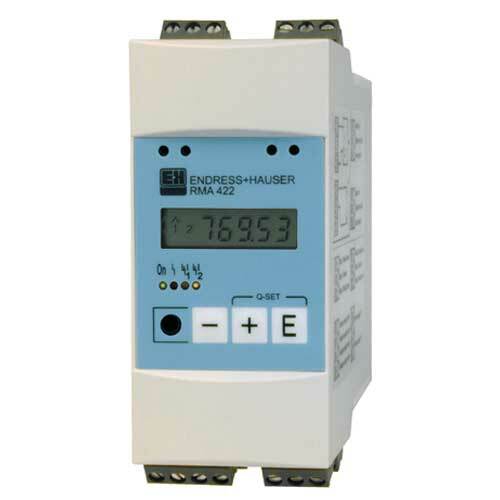 Process transmitter RMA422 Sicherheitshinweise für elektrische Betriebsmittel für explosionsgefährdete Bereiche. Safety instructions for electrical apparatus certified for use in explosion-hazardous areas. Universal transmitter, loop power supply, barrier and limit switch in one device: Up to two optional intrinsically safe universal inputs can be set on almost all relevant process values.